AuthoTrans is always looking for people that want to succeed. We are excited about our future of our company. If you are looking for a career in a great environment contact our office to start the process. The electronic payments industry is changing rapidly, driven by technology and consumer trends that are increasing demand for greater mobility and integration every day. As a leader in payments processing for over 18 years, AuthoTrans Merchant Services offers you unparalleled opportunities to grow and develop your career. Our expertise in the payment industry gives us a unique position in the marketplace. We are looking for talented, passionate people to join us in the journey to shape our company and the future of the payment industry. An internship with AuthoTrans will provide valuable experience in the financial side of credit card processing and marketing for business throughout the United States. The marketing field of merchant processing offers many diverse disciplines such as digital marketing, branding, design as well as online skills and techniques. Technology is changes in our Industry to contactless payment, Google wallet, which allows the ability to make a credit card payment by smart phone just to name a few. Our Industry is diversified and has many career opportunities. If you are interested in a field that allows interactions with social media, advanced technologies, and growth potential contact our office. Becoming an AuthoTrans Independent Sales Agent allows you the flexibility to build your business with a comprehensive range of products and resources dedicated to helping you succeed, including unparalleled training, marketing, reporting and brand name recognition. We design our unique third-party independent sales programs to cover your needs, regardless of your business size. Your business can move between our Agent and ISO programs as your company grows or needs change. AuthoTrans has independently owned and operated Agent Sales Offices and Sales Representatives located throughout the United States. This powerful sales channel is experienced in providing multiple electronic payment options to help agents increase their customer base and maximize their profit potential. AuthoTrans measures our success by the success of our agents. In addition to a highly motivating compensation package, we believe it is equally important to have the resources available to help you significantly improve your bottom line. Our resources encompass both traditional and online marketing and sales tools. We continuously strive to provide effective solutions that help you grow your business. Our Agent Program offers an unparalleled set of products and services that enable merchants to optimize payment processing efficiency. The innovative products and services make us a single-source solution for payment processing. We have a full range of POS terminals, wireless solutions, peripherals and supplies, designed to save both time and money while helping merchants make the most of consumer preferences. Merchants can find the right terminal to operate successfully at the point of sale based on the needs of their selling environment. Merchants can simplify payment acceptance and accommodate their customers’ payment preferences by accepting MasterCard®, Visa®, PIN-secured and signature debit, American Express®, Diners®, Discover®, and JCB® cards, checks and gift cards. 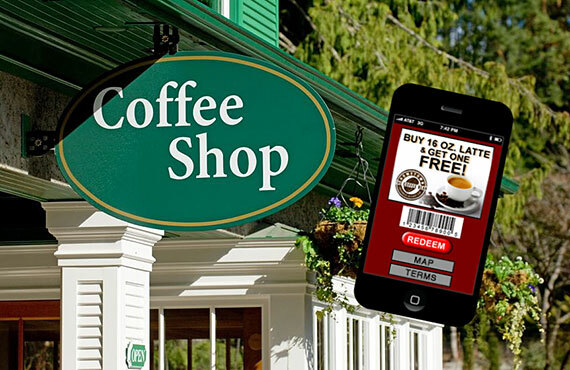 Acceptance of tap and go payments can help merchants attract new customers and provide a quick, simple and secure way for those customers to pay. With AuthoTrans Gift Card Solutions, merchants of every size and type can drive traffic to their businesses, increase sales, build brand awareness and improve customer satisfaction. The Retail Solution helps manage inventory, track sales, control costs, improve customer service and better guide business decisions. The Restaurant Solution is a cost-effective, easy to use all-in-one point of sale (POS) computer system designed to help small to mid-size restaurant owners improve productivity and increase profitability and manage all aspects of their business. AuthoTrans Digital Marketing Division provides premium mobile marketing campaigns. With AuthoTrans Digital Marketing, you can now offer amazing SMS marketing campaigns for your customers at affordable prices. Not only will your customers love you for providing them with yet another way to save money, but your monthly revenue will increase. Mobile marketing IS THE HOTTEST trend in advertising in 2013 and will generate interest and appreciation from your customers.